hillviewasb.com: VIDEO! Hillview Flash Mob at Music in the Quad Friday! VIDEO! 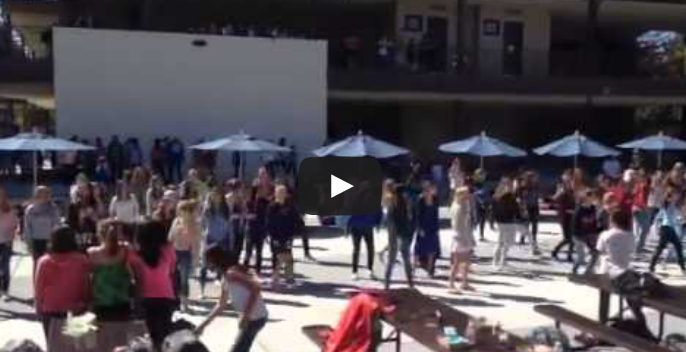 Hillview Flash Mob at Music in the Quad Friday! Hillview Hawks know how to make lunch on Friday memorable. Awesome job to Ms. Salem and all who were involved!!! Good job to all of the kids who participated in this, you all worked so hard! The flash mob was great guys! Good job! I loved the flash mob and the dance! Thanks Miss Salem! We agree! The Flash mob was incredible. Can anyone top that? Awesome enthusiasm! Love the spirit! That Flash mob was so cool! Looking forward to the next one! That was really cool to watch and made lunch memorable! Do it again! Awesome! I loved the amazing performance! Ms. Salem is the best dance teacher!!! This was awesome! I want to be part of one in the future! This is so great! Great job to everyone who participated! WOW!! Must have been a lot of hard work! Wish we were able to see it live! Good job Kiwi Kelley! Sqounk!